Last year this Ombudsman launched a campaign to require car dealers in New York State to fix used cars subject to a safety recall prior to selling them to the public. In regard to this matter, I reached out to our legislators, including Ken Zebrowski and Ellen Jaffee in the Assembly and David Carlucci in the Senate to sponsor bills to accomplish this purpose. I would like to thank Senator David Carlucci for co-sponsoring Senate bill S07545A, which would ban auto dealers from selling used cvehicles subject to a safety recall prior to fixing these vehicles, and request Assemblypersons Ken Zebrowski and Ellen Jaffee to co-sponsor the matching bill A08268-B in the Assembly. Unfortunately, these bills have not yet been passed by either the Assembly or the Senate. In this instance our former AG attempted to solve this critical problem caused by certain auto dealers who had been identified as selling used cars(even so-called Certified Used Cars) subject to unresolved safety recalls. For these dealers, the former AG prohibited the further sale of used cars subject to these safety recalls, until and unless the prospective used car buyer waited a minimum of two days before picking up the vehicle and signed a statement acknowledging that the vehicle was subject to an unresolved safety recall. Not only was the prospective buyer taking a risk by driving out of the dealership onto roads and highways, and in many instances it would take two or more weeks before the parts would be available to resolve this recall, but by signing the statement given above might be waiving their right to blame the dealer in the unfortunate case that they had a accident caused by the safety defect. For the above reasons this Ombudsman disagreed with the former AG’s “solution” to this problem. While we wait for the hopeful passage of the two bills in the Assembly and Senate and its signing into law by our governor, several auto safety advocates have proposed two interim measures that may help to cut down on the current dangers posed by having cars on our highways with unresolved safety recall problems. 1)Add a check for open recalls to the Annual New York State Vehicle Inspection and specify that no vehicle would be allowed to pass inspection until any open recall is resolved. 2) No vehicle should be able to be registered or re-registered until any open recall is resolved. 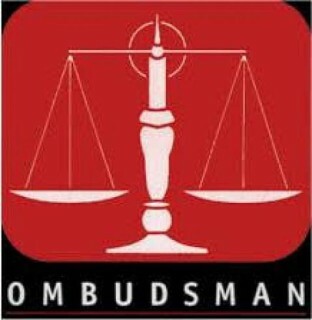 This Ombudsman welcomes all comments and suggestions from. our readers on this critical issue of auto safety.